County Fact Sheets include number of registered voters, and voters’ race, ethnicity, and party affiliation. Get a one-of-a-kind snapshot of North Carolina voters and their voting habits! 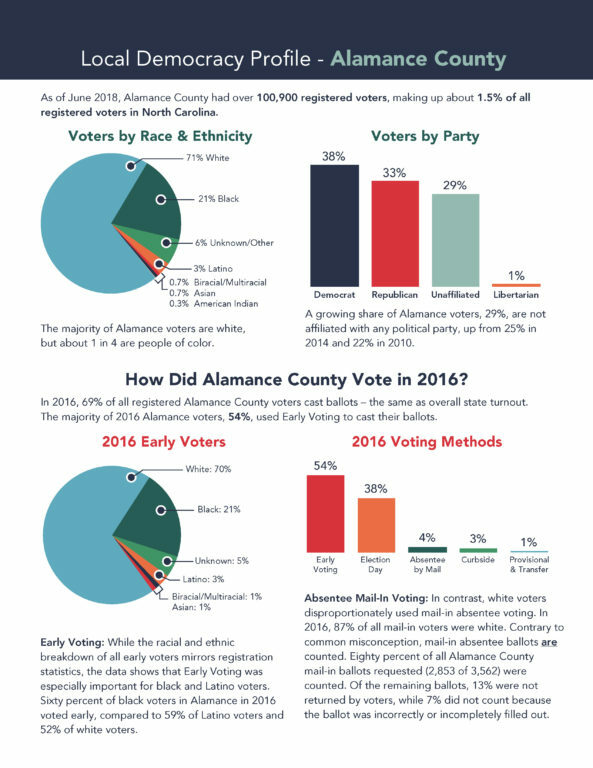 Democracy North Carolina has compiled assorted county-level profiles of voters, including each county’s registered voters as of mid-2018, and how the county’s voters cast their ballots in the 2016 presidential election.